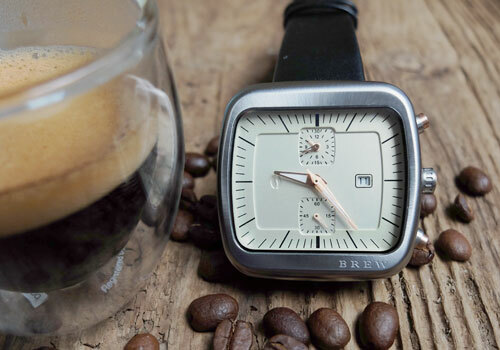 Coffee and Watches - My new Silver Brew Special Blend watch. It’s no secret that I love coffee. But not many people know I also have a bit of a thing for watches. And while I’m not one of those wealthy guys who can go out and spend thousands of dollars on luxury brand watches, I do keep my eyes open for interesting finds. 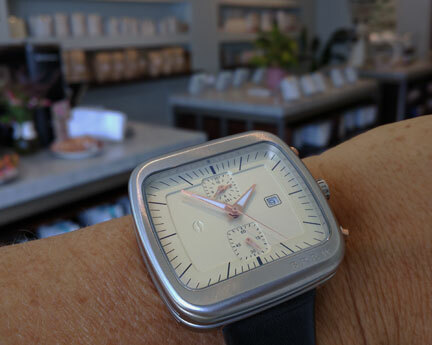 So imagine my surprise when I found an industrial designer who shares both of my passions – coffee and watches. 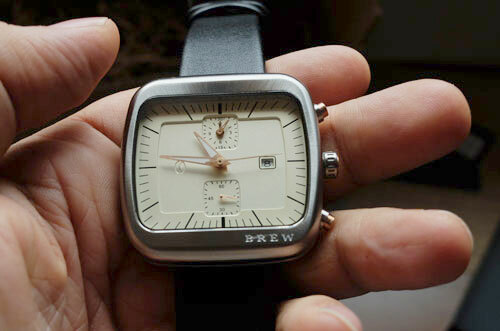 He’s the founder and lead designer of Brew Watch Co, and his name is Jonathan Ferrer. The watch you see featured on this page - the Silver Brew Special Blend - is the first he designed under his own brand. The off-white face of the watch makes me think of mid-century time pieces. A touch of vintage within a modern design. I’m now the proud owner of this watch. Nope... this isn’t one of those sponsored posts, or thinly-veiled promotional pitches. I bought the watch at full price, because I like it. Oh, and if you have zero interest in watches, even if they carry a subtle coffee theme, now would be a good time to bail on this article! 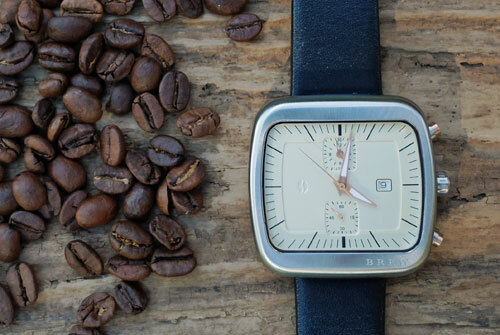 If you’re really into the design of watches, you’ll likely cringe at the thought of someone designing one while using coffee as an inspiration. It’s bad enough when the major luxury brands clutter their watch faces with references to various sporting events. And coffee? How about a watch face shaped like a coffee bean? Ouch. Fortunately, Jonathan is a much better designer than that, and the references he makes to coffee and coffee making are a lot more subtle. Side by side with one of its brushed-steel cousins. 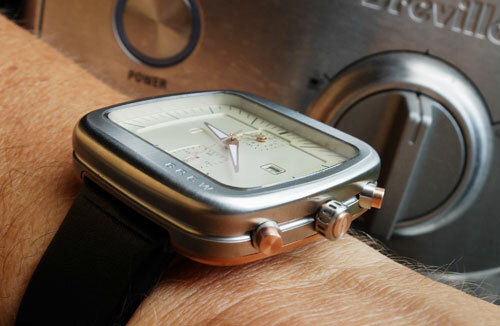 As you can see from the photo above, the brushed steel case for the watch is reminiscent of the brushed steel finish found on many espresso machines and some coffee brewers and grinders. As are some of the lines and curves of his design. And yes, there is that subtle coffee bean graphic level with the nine o’clock position on the face. And the crown is signed with the same graphic. But these are light touches and references. Anyway, I won’t go into a full-blown review of the watch itself. 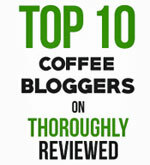 This is, after all, a coffee blog and not a watch blog. 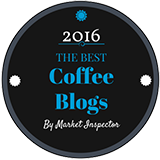 But if you have been following my writing about coffee for any length of time, you already know I have an eye and a passion for clean, simple design. This is why I love the Chemex brewer, the Hario drip kettle, the Bialetti stove top brewer and the humble French press. They are simple, functional and a pleasure to look at and use. Maybe it's just me, but the dial design speaks to me of the clean open spaces in a modern coffee shop. I like the clean, open designs of many modern coffee shops, and I feel the same with my Silver Brew Special Blend. The design is very clean, with no clutter. But it does have some wonderful details. Look through the photos and you’ll see what I mean. In particular you’ll see how Jonathan has played with two tones - steel and rose gold PVD - which he uses for the backplate, pushers and crown. Here you can see the coffee bean logo on the crown, and the dual tone of the steel and rose gold. Play with the scale in your mind’s a little, and perhaps you’ll see the steel and brass finish of a high-end Italian commercial espresso machine. If you’re interested enough in watches to be wondering about the movement, it’s a Swiss quartz. 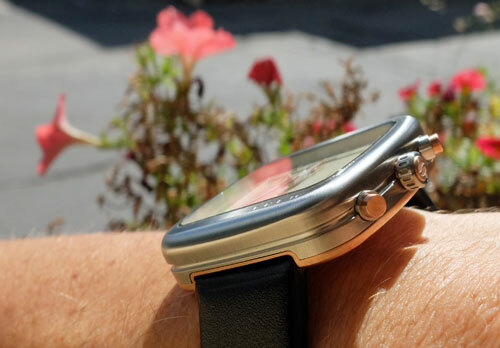 Some watch collectors might wish it had a mechanical movement. Frankly, it doesn’t bother me that much. Certainly not at this price point. On the plus side, you do get a sapphire crystal. As I write this in September of 2016, Jonathan Ferrer is launching a second watch, which he is funding through Kickstarter. His new watch does have a mechanical, automatic movement. And its design is even cleaner. You can feast your eyes on both watches at the Brew Watch Co website. 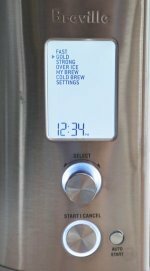 As for me, I’d better get back to thinking less about my new watch, and more about coffee and coffee makers. Or maybe I should give some thought to persuading Jonathan to give watches a short rest and design some coffee making equipment instead. See how the straps attach at the level of the back plate. 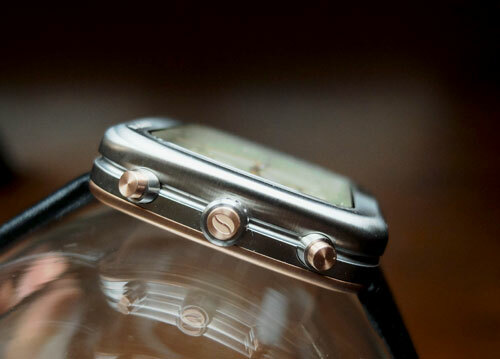 No traditional lugs on this watch.